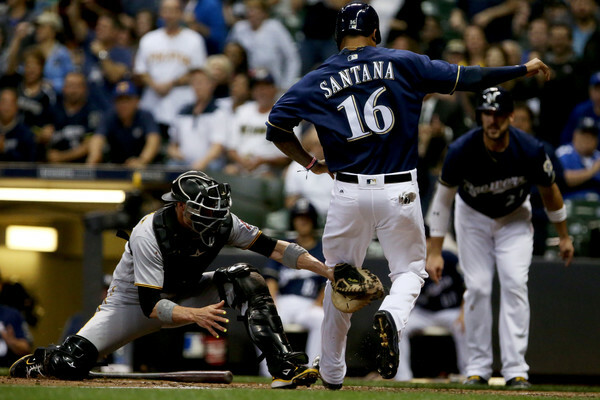 Imagine for a moment that you’re Domingo Santana. Congratulations, you’re a professional baseball player! Not only that, but you’re coming off of a breakout campaign where you hit 30 home runs in a full-time role for a team that finished the season on the brink of the playoffs. Life is good. Then January 25th happens, the date when the Brewers traded for Christian Yelich and signed Lorenzo Cain. Suddenly, your role on the team is in limbo and you’re mentioned in numerous trade rumors. Life is getting pretty unstable now, right? Thankfully (sort of), we as fantasy baseball owners don’t have to travel the tumultuous road of professional baseball personally. However, we still feel the trickle-down frustration of possessing a player that felt solid only to see his full-time role dissipate. Talented players blocked on depth charts offer one of the biggest challenges for owners to navigate. How do you value a player like Santana when he could get anywhere from 300-600 plate appearances? That’s the topic we’ll look at today, assessing these difficult scenarios and the importance of your league’s format, as well as peeking at which players to target. Rewind to last year. The New York Mets were rolling into the season with a glut of outfield talent. Yoenis Cespedes, Curtis Granderson, and Jay Bruce appeared to be the clear favorites for starting roles, leaving skilled youngster Michael Conforto on the outside looking in. His lack of clear playing-time led to Conforto being very cheap in 2017 drafts, as many didn’t want to risk eating up valuable roster space on a part-time player. But by late April, Cespedes went to the disabled list and Granderson was struggling mightily, giving Conforto the opportunity he needed. 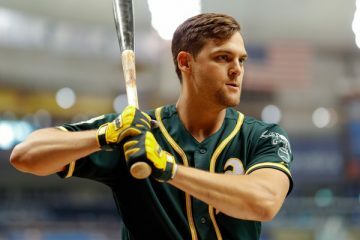 Owners who took the risk on him were handsomely rewarded to a .279/.384/.555 triple-slash with 27 home runs and 68 RBI. That’s the type of value that gives owners that fun tingling sensation of being smarter than the room. There’s a simple rule of thumb to go by in murky playing-time situations: always bet on talent. Talent eventually finds it’s way to the surface. Maybe an injury or a trade opens up a spot, or a hot streak doesn’t dissipate (see: Pham, Tommy). The best players end up getting their share of the spoils and if we’re patient enough, we’ll earn the spoils too. It was apparent in spring training that Conforto would work his way into the lineup eventually, but it wasn’t clear when that would happen. That type of uncertainty leads to excellent buying opportunities to acquire strong players at a cheap price. Owners generally struggle with instability, so they tend to value the safer plays, dismissing players who may only get a couple starts per week. That strategy isn’t necessarily wrong, you want to own players who will contribute. But in the proper league settings, it’s a good idea to own players who may just need to catch a break to become a truly valuable commodity for your team. If you play in a cut-throat league that has no bench, getting guys who play every day is vital for success. It’s much more difficult to roll the dice when you can’t recover from the lack of volume from a PT-risky player. It’s better to monitor the progress of these players closely and be ready to pounce when their opportunity comes. On the other hand, if your league offers a hefty bench, that opens you up to more freedom for stash-and-wait players. Having other hitters on your squad with multiple-eligibility greatly helps as well. A guy like Marwin Gonzalez covers so much ground that I could pair him with a Jose Martinez or David Dahl and feel comfortable using a slot for a wild-card. Get creative with your roster to open up space for the next Conforto instead of sticking with a no-upside backup (looking at you Pujols!). Daily leagues don’t hurt the value of PT-risky players much since you can easily slot them in your lineup once you see they’re getting a start. Yet owners will instinctively suppress their value anyway. I mean, if the team doesn’t play them every day, they must not be that good, right? It’s a natural and subliminal thought that you can take advantage of. If you have the roster space (see above), make an inquiry to Domingo’s owner. You may get him at maybe half of his December value and you can still reap the daily rewards. As for weekly leagues, consistent starters are more vital to obtaining the volume necessary to win. Being patient with your bench is the key. It’s tough to start someone like Jesse Winker over Kevin Pillar when Pillar’s playing every day. Winker then starts to feel like a useless roster spot since you aren’t using him at all. But if one of Duvall or Schebler falls off the map, I’m going to want to be in a position to get the Winker bump. That’s when your patience pays off. I’ll leave you with a brief list of PT-risky players who may thrive if given a chance at full-time plate appearances. I’m not advocating trading for and/or drafting all these players, just pick your favorite one or two to target. Filling your bench with these high-upside, low-volume players leave your roster overly vulnerable to variance. Go forth and risk responsibly. Tom has been playing fantasy sports since 2000 when his Boy Scout troop started a fantasy football league. He's been addicted ever since, as it combines his love of statistics, competition, and sports. 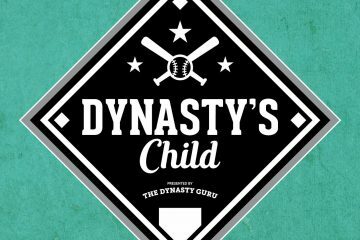 Fantasy baseball emerged as his favorite; Tom's in three dynasty baseball leagues and wants to help you win yours (except you Charles). The Dynasty Guru's Triple Play: The Los Angeles Dodgers!